Open structure and high surface area results in superior flow-through characteristics and filtration efficiency. Higher efficiency relative to conventional media results in smaller space requirements to achieve equivalent denitrification. 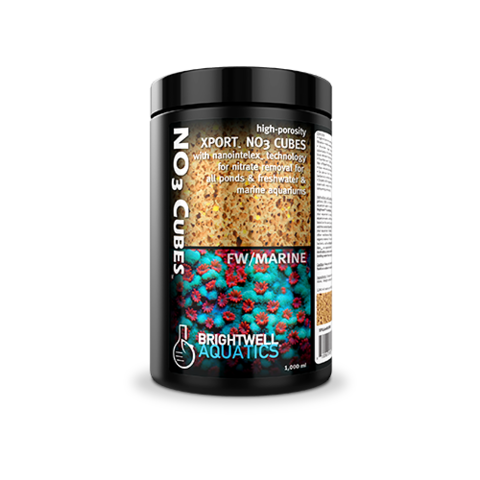 Eliminates the need to perform water changes that are carried out for the express purpose of decreasing nitrate in an aquarium system. Read all instructions before use. 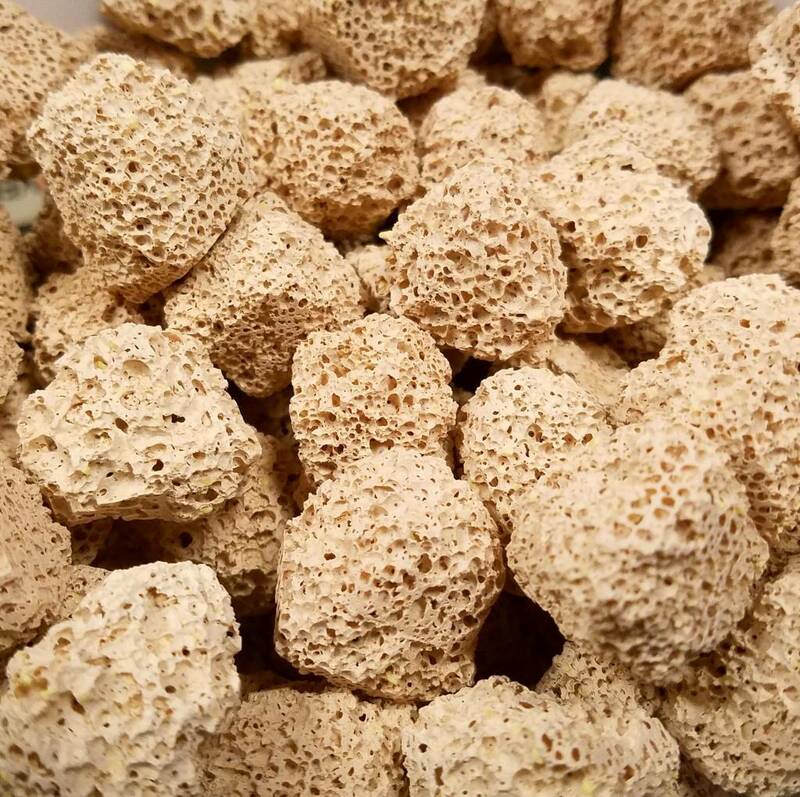 The use of a mechanical pre-filter to remove particulate organic material from water prior to its interaction with this media will improve efficiency. Rinse Xport NO3 Cubes in purified water or low-TDS fresh water, then place media into a clean pail and fill with water from the aquarium into which the media is to be placed. Seed each 150 g of Xport NO3 Cubes used with 20-ml of MicroBacter7 (poured into the pail and dispersed by hand), then allow media to remain in this "bath" for 24-hours at room temperature. Remove Xport NO3 Cubes from pail and pour water into the aquarium system, then place Xport NO3 Cubes into canister filter, media reactor, or 800µm mesh filter bag; a flow-through rate of 1 - 3x the total aquarium volume per hour is recommended. Do not fluidize. In systems with an initial [NO3] of <40 ppm, begin with a ratio of 150 g Xport NO3 Cubes per 120 US-gallons (454 L) in system (increase this mass by 10% for every 10 ppm NO3 in excess of 40 ppm). Denitrification will typically begin within one week; rate of denitrification increases with time. 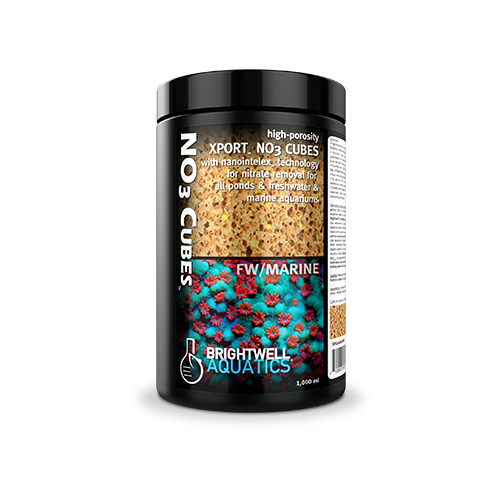 If corals or other invertebrates appear to react negatively to the use of Xport NO3 Cubes, it may be an indication that NO3 is being removed too aggressively; decrease amount of Xport NO3 Cubes used by 50% and continue use until [NO3] falls within desired range. Note that the required amount of Xport NO3 Cubes will change as the system matures, and as biomass and/or stocking density changes. Denitrification relies on adequate organic carbon availability; if [NO3] stops decreasing during the first month of use and no significant increase in bioload, stocking density, or nutrient input rate has occurred during this period, then it is likely that organic carbon or phosphate is limiting. Use of Katalyst, Reef BioFuel, or FlorinAxis (planted aquaria) per the instructions on the respective labels will be required to provide this carbon; NeoPhos or Florin-P will provide phosphorus. Replace ~25% of the total Xport NO3 Cubes employed every 3 - 4 months in high-bioload systems, and every 6 - 8 months in low-nutrient systems. 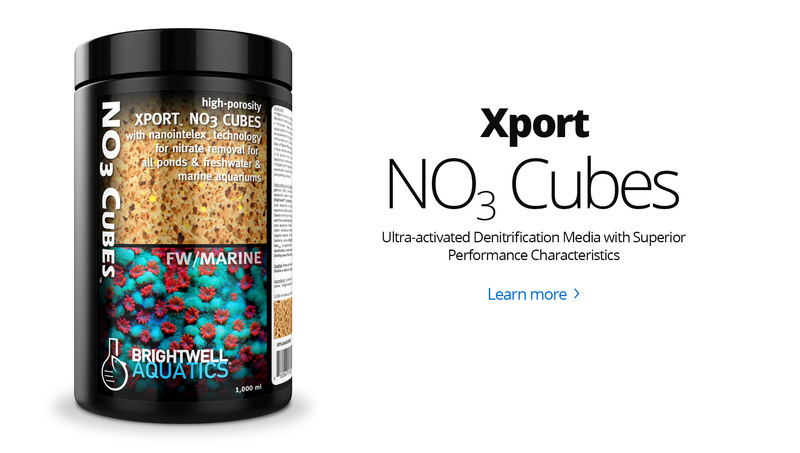 Maximum rate of denitrification is achieved by placing Xport NO3 Cubes in-line with, and downstream from, Xport Bio Cubes. Xport PO4 Cubes may be used downstream from Xport NO3 Cubes to facilitate complete phosphate uptake; do not place Xport-PO4 upstream from Xport-NO3, which will inhibit denitrification.